Are you looking for wedding day coach hire or wedding day minibus hire? Getting married is one of the best experiences of your life, but it can also be one of the most stressful with creating the seating charts, designing the invites, and generally making sure everything is perfect. Wedding planning can become overwhelming, so why not lighten the load a little and let us reduce your stress out of arranging the wedding coach hire and wedding minibus hire. Call Bouden Coach Travel on 0800 112 3770 or CLICK HERE for an online quotation. As a top coach hire company, we’ve got the experience and skill needed to help your big day run as smoothly as possible, ensuring that the bride isn’t late to the church, and that the guests don’t get lost along the way. The choice of vehicle is completely down to you, no matter what size the group may be you can guarantee we have a coach to hire or minibus to hire that is perfect for you. We always recommend an executive or luxury wedding coach or wedding minibus to add a touch of frill and splendour fitting for the occasion. Ensure your wedding guests arrive at the venue happy, relaxed, and ready to celebrate with our wedding coach hire service. Many of our executive and luxury vehicles boast bathroom facilities, reclining seating, and onboard entertainment, so no matter how long or short the journey, you can rest assured we’ll take good care of your guests. Wedding coach hire and wedding minibus hire in Birmingham is on the rise as more and more brides and grooms are opting for alternative wedding venues, such as traditional barns and country homes located in beautiful rural areas away from the hustle and bustle of the city. 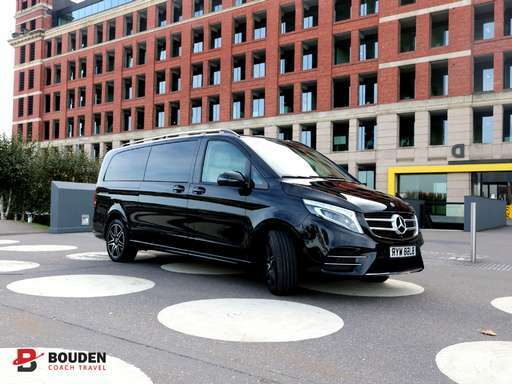 At Bouden Coach Hire, we’re finding that one of our most popular services is transporting the wedding party between a family church and a secluded reception venue, or transporting guests between the venue and their city centre hotels. However, as our executive and luxury coaches are also perfectly suited to long distance journeys, we’ve also ferried group’s right across the country to attend family weddings and parties. There are many ways in which we can help your big day go off without a hitch, so contact us for a quote now! Call us on 0800 112 3770 or CLICK HERE for an online quotation for your wedding coach hire or wedding minibus hire.